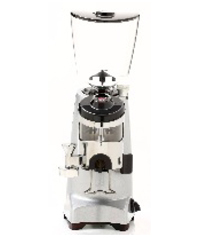 A stylish traditional espresso grinder that grinds the beans directly down into a 300g container – you can then simply take the freshly ground coffee to make the perfect espresso. The bean container holds 1kg of your favourite beans and the grinder is easy to adjust to give precisely the right grinding level. Professional features with no compromise. 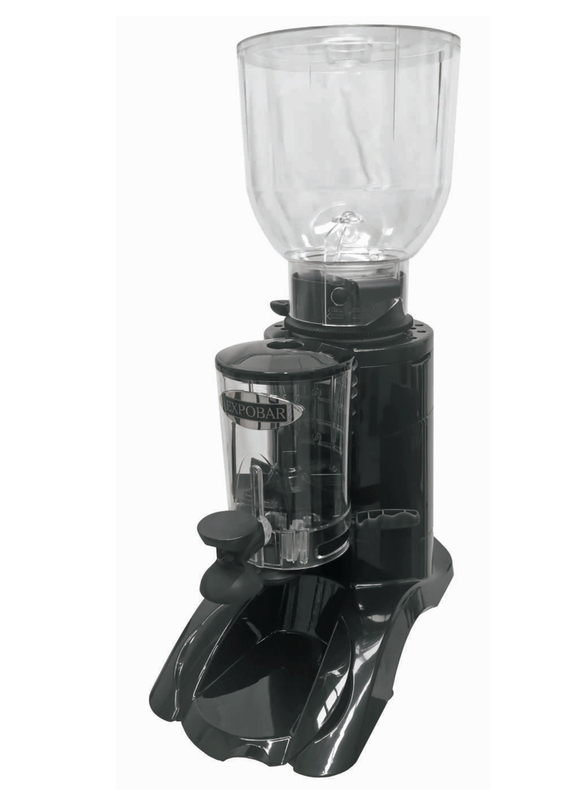 The Mignon on-demand grinder is a fundamental partner to all Baristas who wish to satisfy their customers needs with a decaffeinated or ‘gourmet’ coffee option. 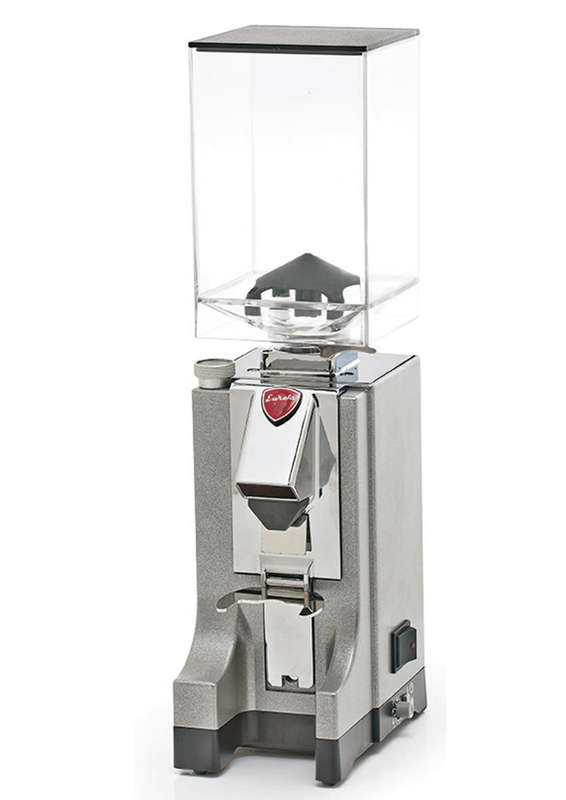 Despite its size, the Mignon guarantees the same grinding quality and features as all other professional grinders. 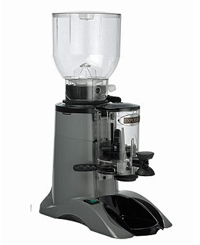 A quality grinder with high versatility which is very robust and fast. 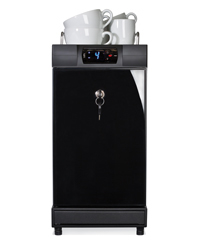 Thanks to its large dispenser you can have coffee, already ground, in large quantities whenever you need it. 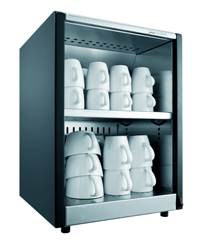 Available in grey ABS styling with the dispenser lever placed right or left. 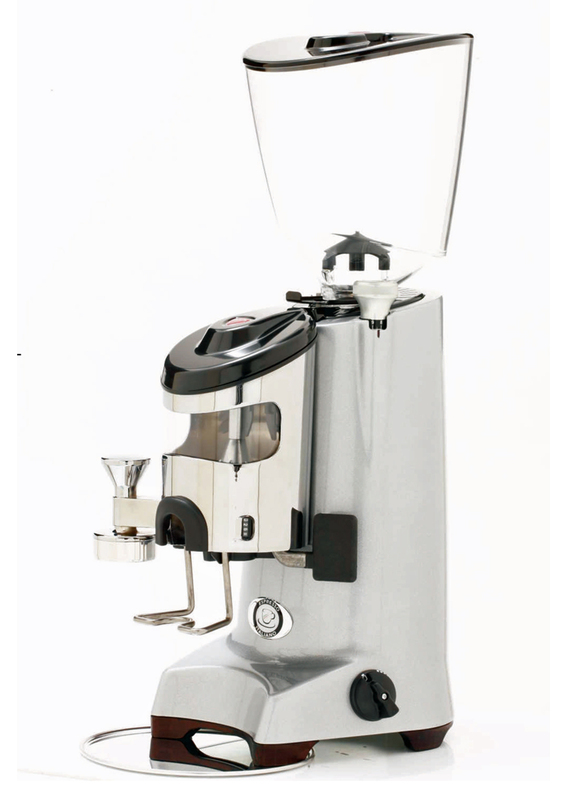 A traditional espresso grinder with micrometric adjustment without stop points. 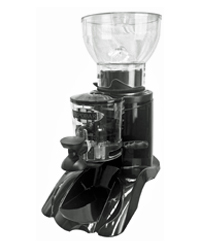 Featuring automatic start-up every 6 doses and automatic stop when the doser is being filled. 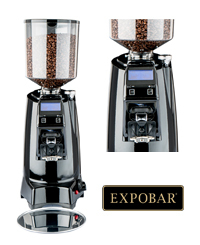 An easy to use automatic espresso grinder that grinds your favourite beans directly into the filter handle. 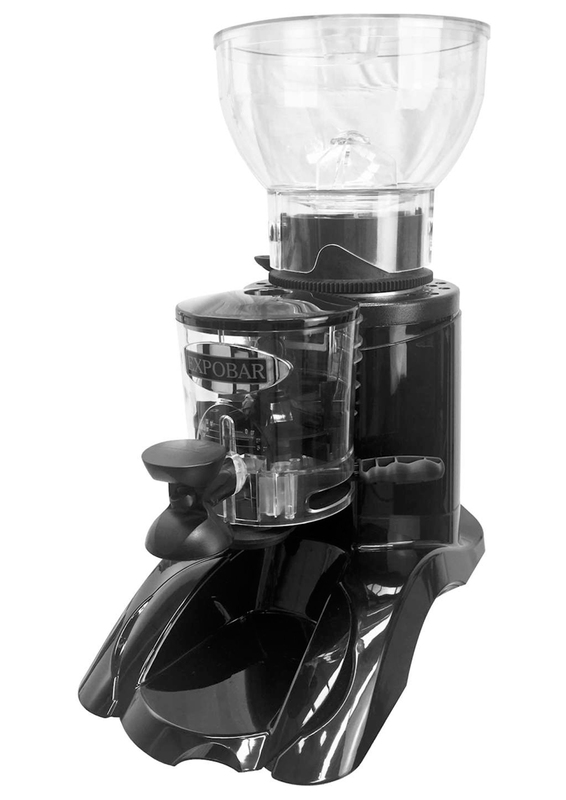 Pre-ground portions are easy to set up for single and double espresso or you can operate it manually until the required volume is achieved. 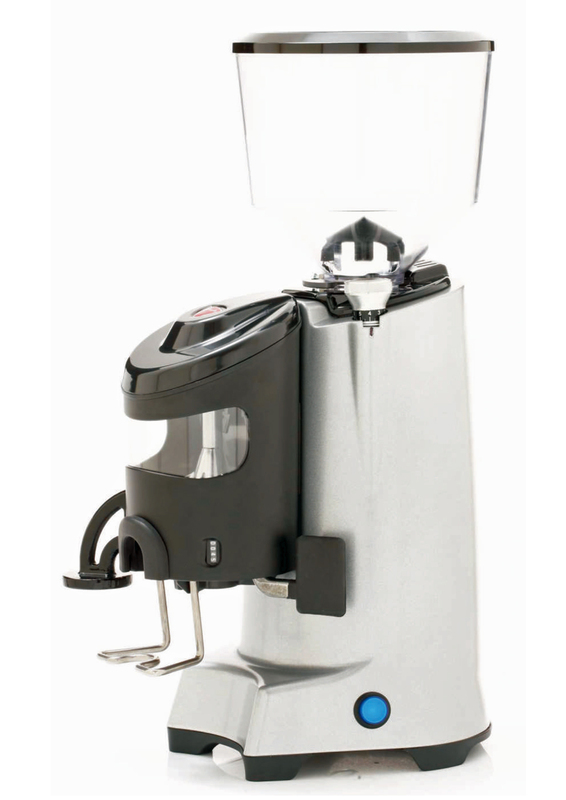 The grinder starts automatically when the handle is inserted in the outlet and produces fresh coffee with the minimum amount of spill. 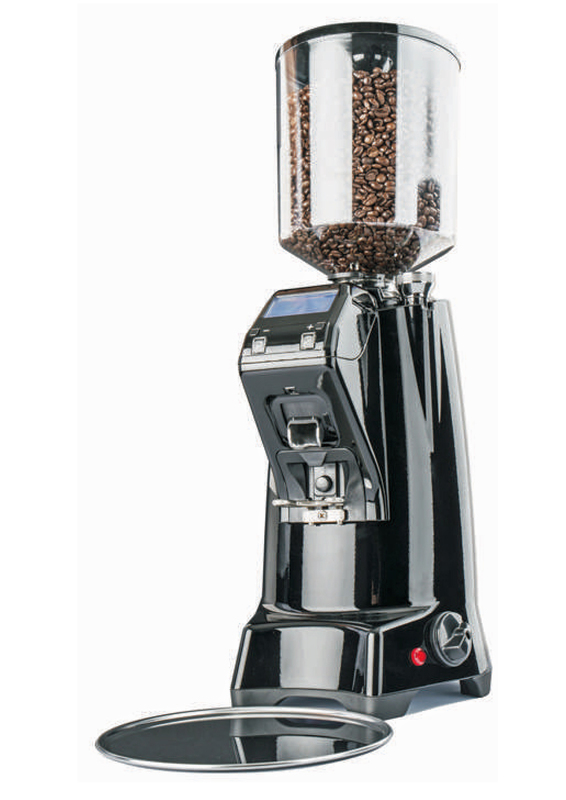 A heavy duty professional grinder with 68mm hardened steel conical burrs and a low motor RPM of 680 revs to ensure less heat during the grinding action. 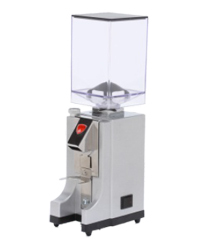 It comes fitted with micrometric adjustment without stop points and full motor raise/lower operation to ensure a perfect alignment of the burrs. 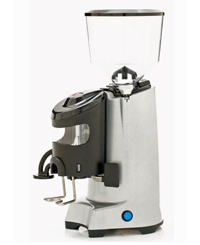 Other features include automatic start every 6 doses and automatic stop when the ground dispenser is full. The popular speciality coffees of today would be unthinkable without fresh, cold milk. 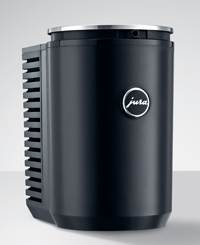 To ensure this is always available, Jura has further developed the Cool Control which is programmed to cool to an optimum 4°C / 39.2 °F, has an energy-saving automatic on/off function and is compatible with all Impressa and GIGA models. The high-quality stainless steel container is easy to remove, open, fill, store in the refrigerator as needed, and clean in the dishwasher. OPTIONAL WIRELESS UPGRADE NOW AVAILABLE! 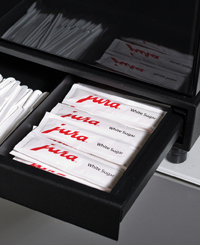 Designed to compliment the Professional line of Jura coffee machines, the Combicool has a cup warmer on the top of the machine and a handy storage drawer for stirrers etc. 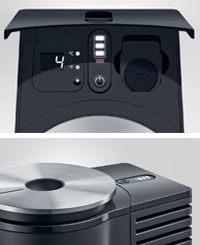 The energy-saving, automatic temperature control to 4°C means the milk never freezes. With its simple, clean lines, the stainless steel cup warmer featuring high-quality clear glass sides cuts an elegant figure alongside all GIGA Professional models. 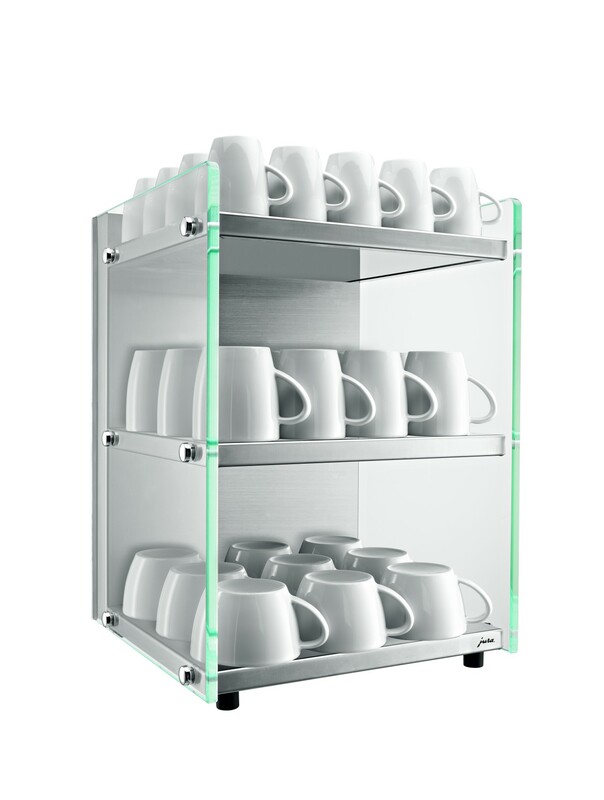 It provides plenty of space for a total of 100 espresso cups (diam. 60 mm) or 60 coffee cups (diam. 80 mm). The three modern heating panels are energy-efficient and run silently, which makes the product ideal for use in offices. A perfect cup of coffee has to be served hot and it is important that cups are thoroughly pre-warmed. 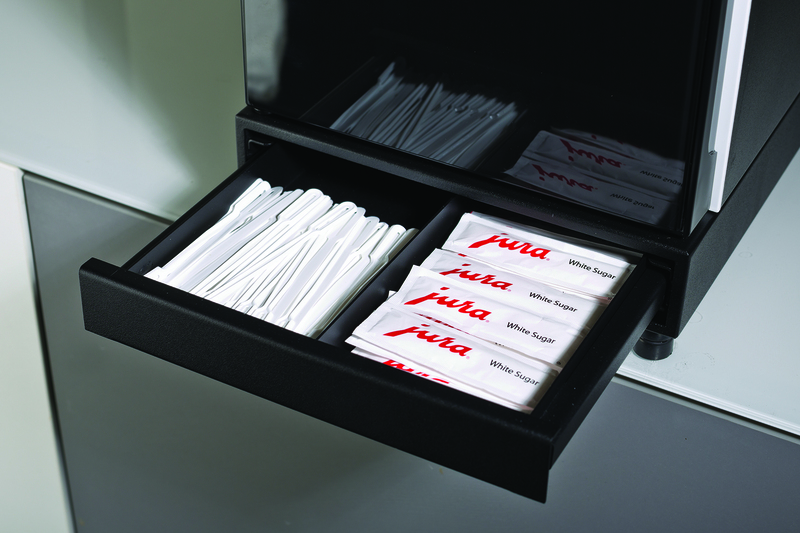 The JURA Cup Warmer is made of top-quality materials and thanks to its compact design it integrates perfectly into any environment.